Sometimes it feels like people don't properly understand the concept of music. I know that this may sound a little pretentious, but music often serves a far greater purpose past an aural stimulant. Shortly after I had become a fan of the Rance series, and while I was still at school, I tried to introduce my friends to the game's OST. All I got were remarks like “This music doesn't meet my expectations, it needs more X.” Naturally, I tried, in futility, to explain to them that it's not about what they expect, but its about what it's supposed to convey in the first place. Now this would probably be a good time to begin a rant on how modern music rots of the brain and causes people to view it in one dimensional terms, but alas, I know nothing of the subject, so instead I'm going to deconstruct one of my favourite songs from Sengoku Rance in order to portray the importance of music in a setting. 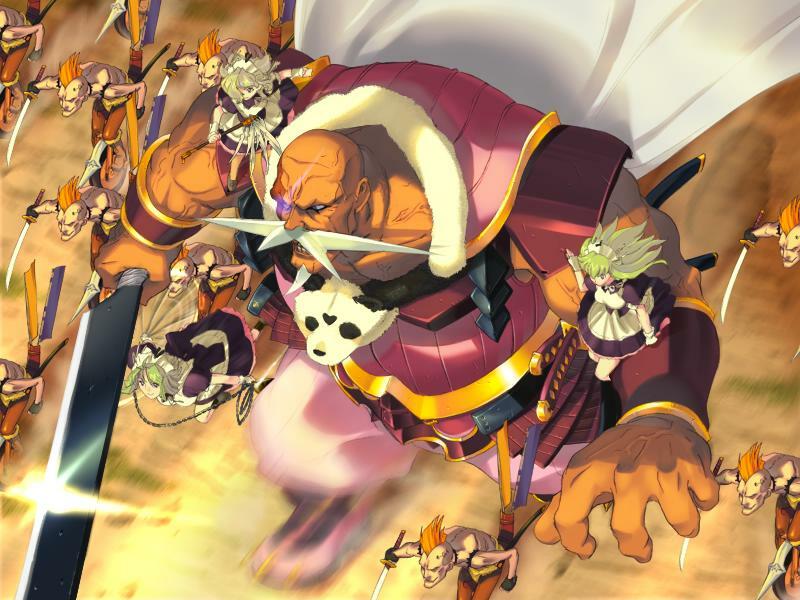 Sengoku Rance is a turn based strategy game set in the fourth warring states era (Sengoku Jidai era) of Japan. Naturally then, as most of the combat ensues armies fighting armies, the bosses stand out as titular behemoths capable of crushing hundreds of soldiers in a single blow; and of course, the music must reflect this. One of the most striking initial features of this song, I think, are the drums, which take on a marching, almost leading, rhythm of their own above the rest of the instruments. Matched with the roaring, almost unintelligible guitar riff that follows; you can almost feel the fear that strikes a soldier when he's faced with the enemy that he thought he'd never live to face. And that slow, screeching guitar only fulfils his fears as the beast mows ever closer. What kicks the song off as special though, is its unexpected end section. After the chaotic build up of guitars and strings comes an upbeat rhythm accentuated by an organ, giving us a heroic and uplifting 'burst,' completely alien to the prior mood. And that's the turning point. That's when it becomes clear that masses of soldiers cannot beat this foe. That's when the character realise that if they want to win, they have to dance around the boss in small numbers, they have to use their co-ordination to their advantage and ultimately they must work together. That's one of the biggest and most striking themes in Sengoku Rance, teamwork; and to top it all off, what happens when you beat a boss? Most of the time, they join you. I always say, they game would never be the same without it's soundtrack. It's an utter harmony where every aspect of it's production adds some artistic value to the final outcome, and I know my own perception of the game's seriousness would never be accomplished without tracks like this. 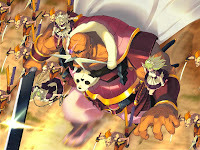 In a game as funny and laid back as this, it's difficult to portray the real emotions, the fear and dilapidation that come alongside war, and in the same vein it's difficult to express the pure rapport which necessitates itself within the minds of each of the characters using a simple turn based battle system. But this song manages to pull it off. I know it's difficult, and sometimes impossible to explain one sense using another sense, so I hope that by listening to the song you'll be able to understand the points that I'm making, and how music is a powerful tool not only to defy expectations but also to instigate emotions that otherwise would remain unfelt. It is truly a moving, and sometimes unappreciated, art.